Gorgeous single-story home in Roanoke with immaculate landscaping and beautiful elevation! Designer touches throughout will make you fall in love the second you walk in the door. 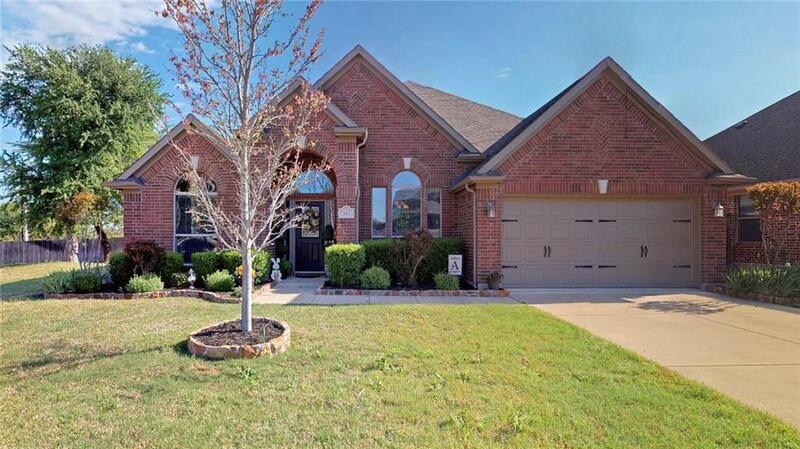 Inside you will find 3 beds, 2.5 baths, formal dining, & 2-car garage! Executive study makes terrific 4th bedroom. Upgrades throughout include modern paint tones, decorative light fixtures, surround sound, cozy stone fireplace, and much more! Gourmet kitchen overlooking the spacious family room boasts rich wood cabinetry, granite counter tops, tumbled stone back splash, stainless steel appliances, gas cook top, and cozy breakfast nook. Quaint backyard with enclosed patio is the perfect space to enjoy your morning coffee & entertain!